Heading east on LA’s traffic-filled highways, the next stop on my LA Donut Tour is Stan’s Donuts. Stan’s, which is located in Westwood Village, has been loved by UCLA students as well as West Coasters since 1965. Personally, I felt the donuts either tried a little too hard or not enough. 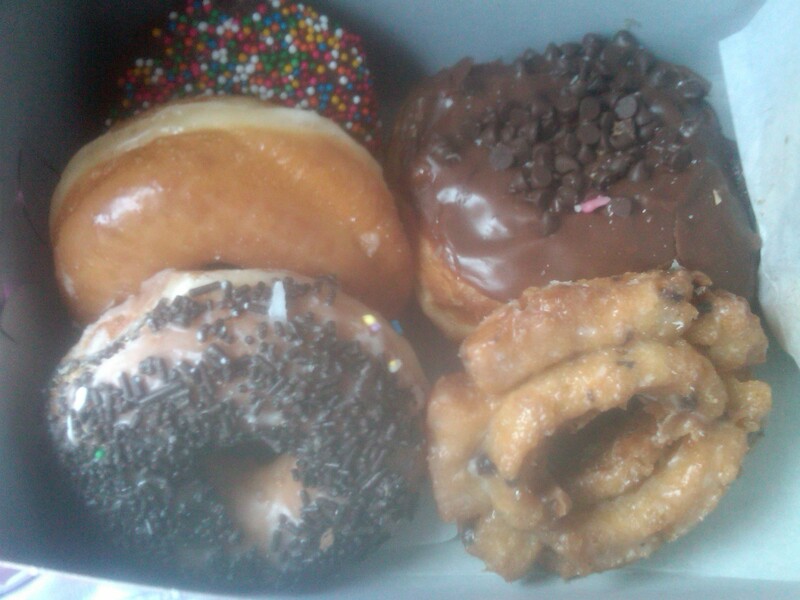 Don’t get me wrong, with over 50 different kinds of donuts, there’s a ton of variety to choose from. I went for the Peanut Butter and Fresh Banana Donut with Chocolate Chips, an original glazed, sprinkled, and a blueberry old fashioned. The Peanut Butter/Banana/Chocolate Chips was topping/filling overload. On the other end of the spectrum, the blueberry sour cream was light on the blueberry taste. The rest of the donuts were fine…pretty standard. But my journey shall continue to hunt down a more delicious LA donut. 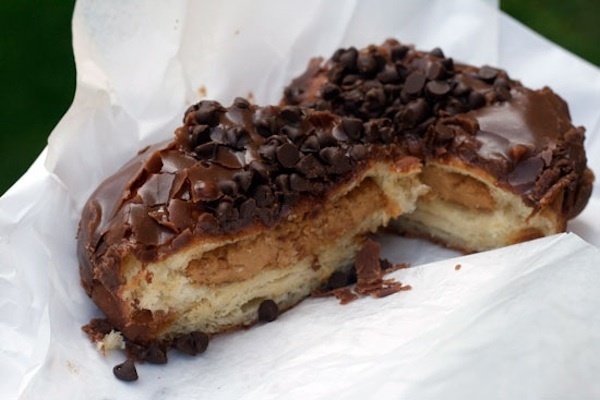 « LA Donut Tour: Gourmet Donuts in LA….Fo-Real!